Ragnar is an overnight, long distance relay event that takes place over two days and one night. Bill and I worked the entry booth, along with other McDowell hosts from the park, supervisory staff, and full-time staff from the park. Thankfully, Bill and I had some experience working large events from our time at San Tan… But, we had never seen anything like this event at McDowell. The biggest event Bill and I ever worked at San Tan consisted of approx. 1,5o0 total people including spectators. This Ragnar event easily presented 3k – 3.5k runners, not including the spectators, and overnight campers . What a thrill it was for Bill and I to be part of that!!! We LOVED it! Why? Because it was fast and furious getting all those people through the entry station and the time just flew by.. That is the kind of excitement Bill and I love! Now don’t get me wrong. 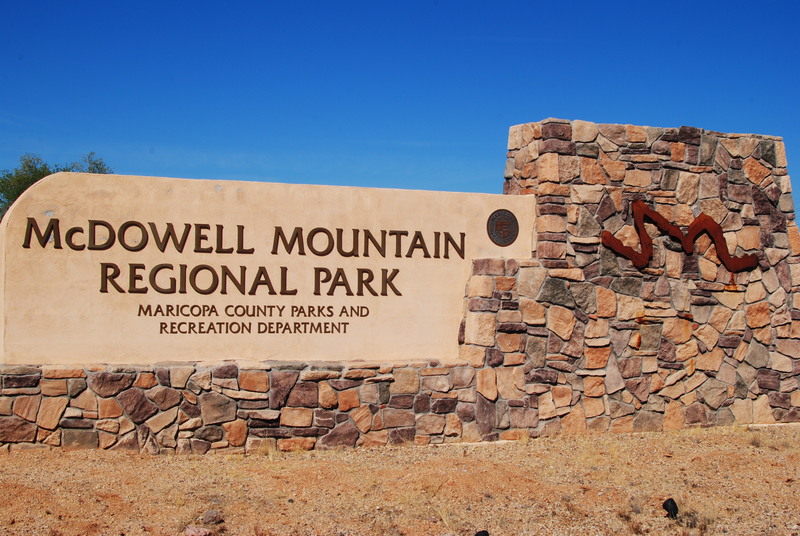 Bill and I loved our time at San Tan Mountain Regional Park, and we still promote that park as a beautiful day-use park… But, if you are looking for BIG running and mountain biking events as well as overnight camping accommodations… McDowell delivers that in a BIG way! All that said, let me show you some pictures to help you see how McDowell can accommodate that big of an event. As you enter the park you are greeted by this sign. 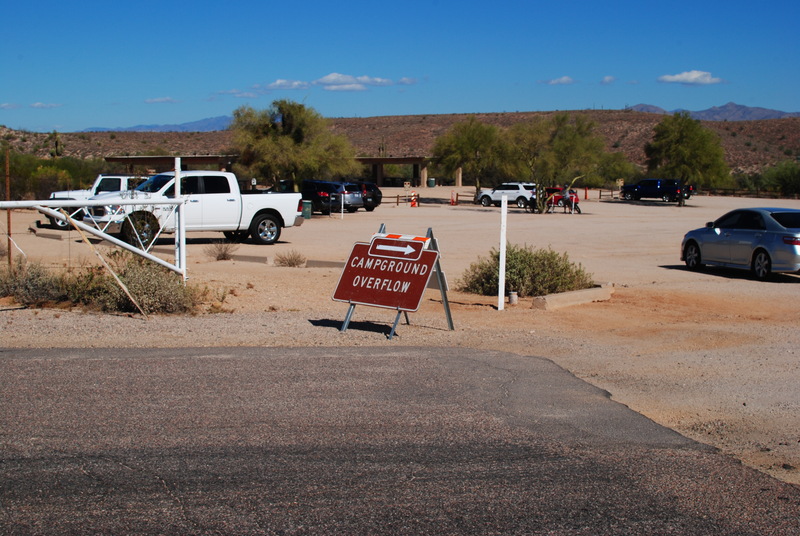 This is the entry station where Bill and I, along with many other park staff worked the Ragnar event. 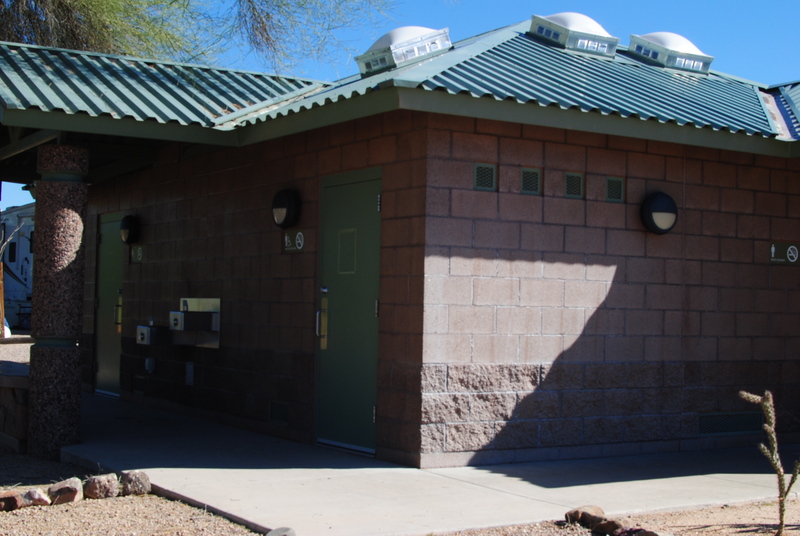 Believe it or not that entry booth has a flushing bathroom, area with refrigerator and microwave, as well as heating and refrigeration… What more could we ask for? 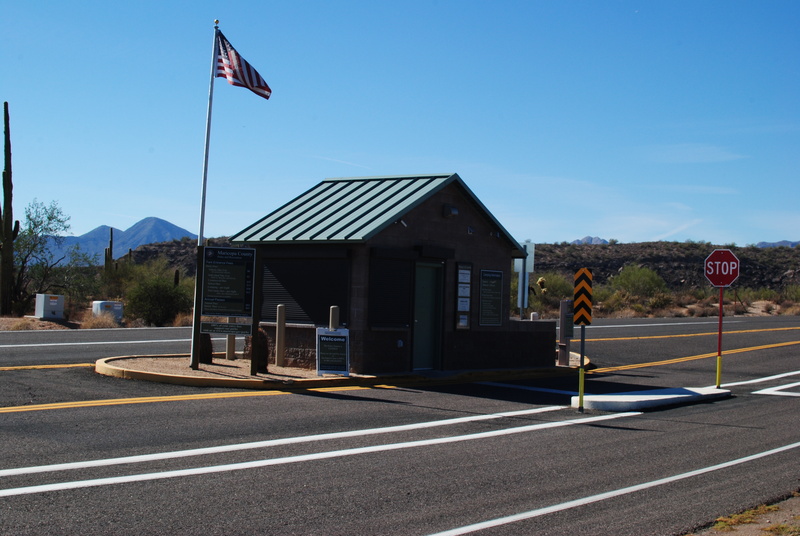 Also different from San Tan where the entry booth and Nature Center were combined, this entry booth is 2 1/2 miles away from the nature center. 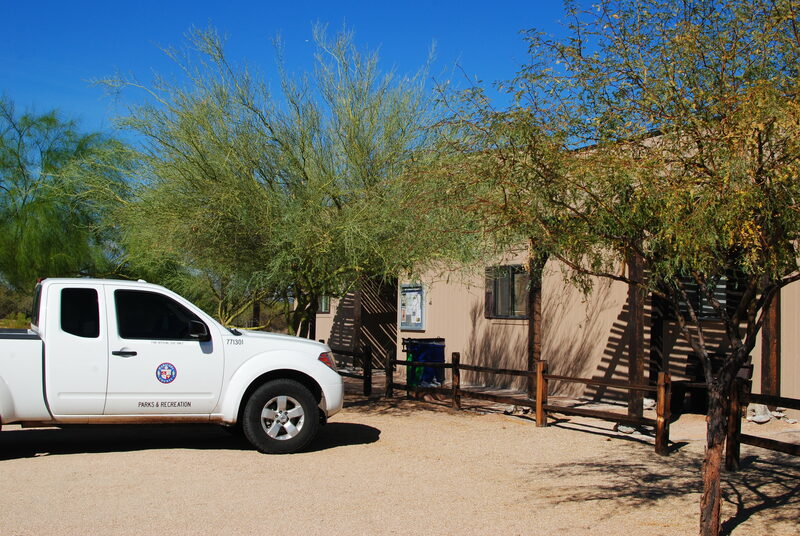 Like San Tan, they have a little picnic area just outside the Nature Center. 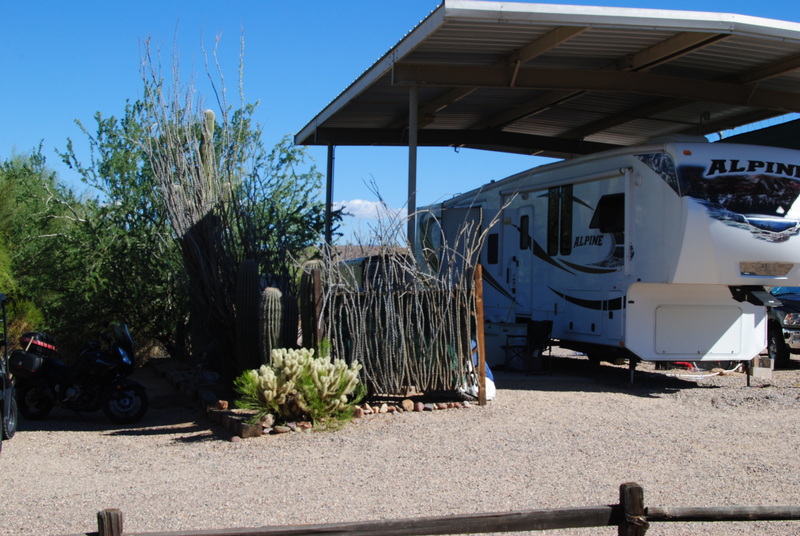 In addition to approx 75 campsites( not counting host campsites) offering electric and water only…. (host sites have full hook-ups including electric, water, sewer, and propane). There is also a campsite overflow area. This is the campsite overflow area. It is primitive camping (no water, electric, or sewer) but all campers have access to our dump station. But even the primitive overflow area has access to flushing toilets and I believe showers. This area also has a bike repair area. 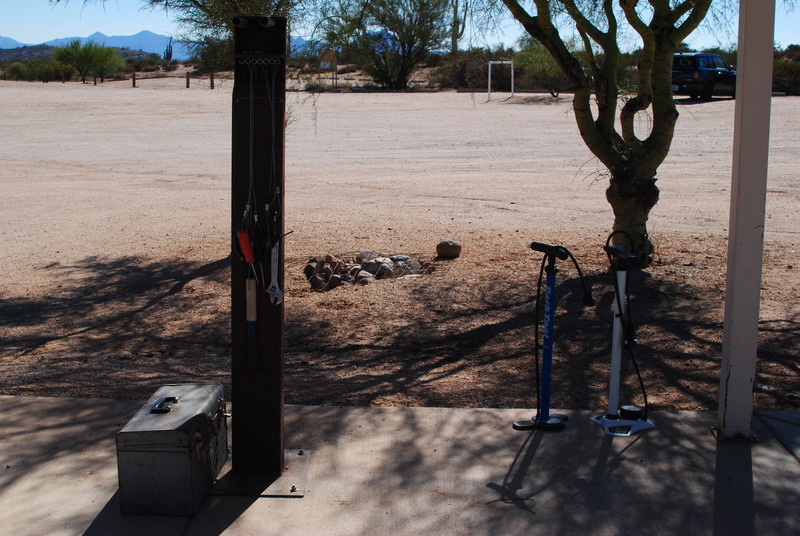 There is a tool station, to fix your bike, where the tools are securely attached to a pole. 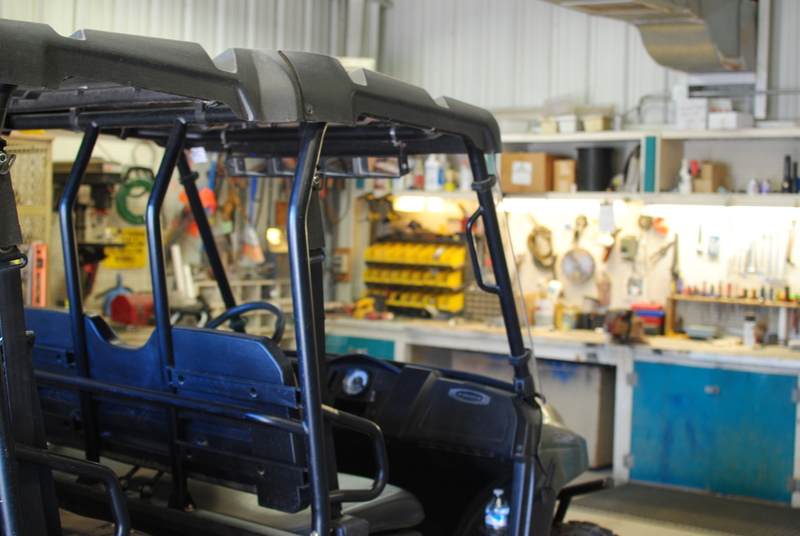 There are also air pumps for filling tires, and even a wash down hose… This place has it going on!!! 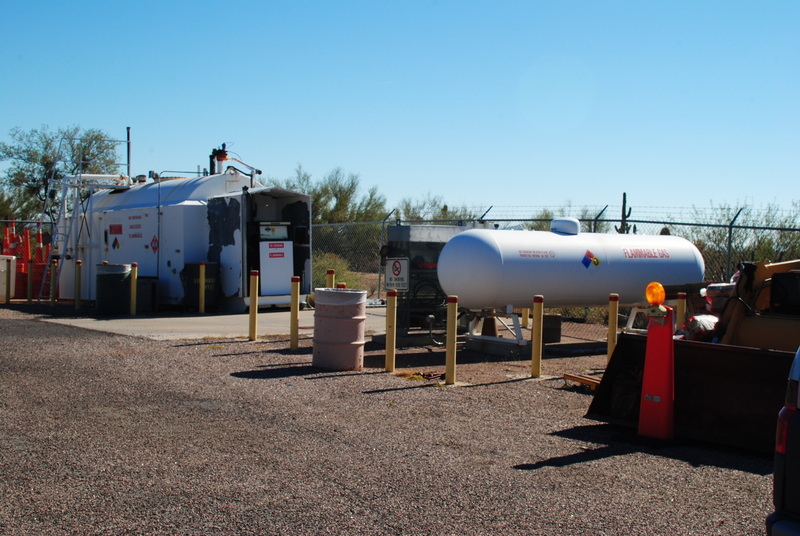 We also have access to complimentary propane right here in the park. Just another perk that comes in handy when you live full-time RV. 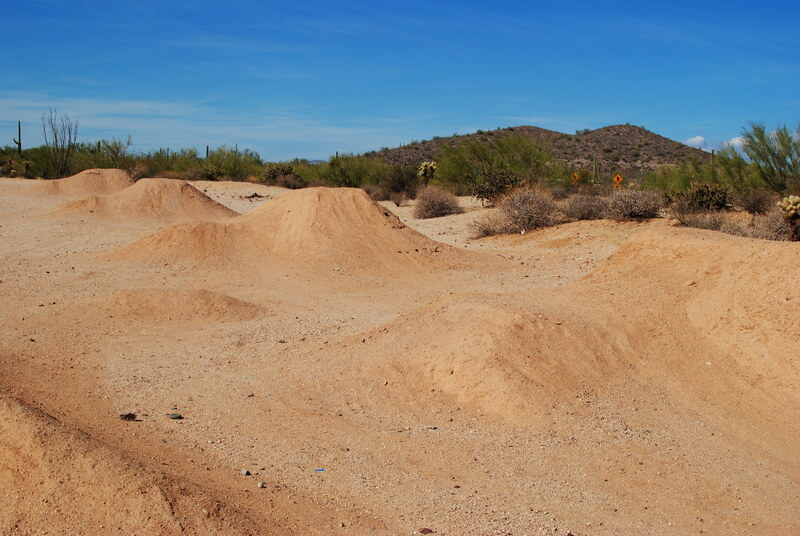 Again, let me say… if you are looking for a GREAT place to spend the day hiking, mountain biking, or horseback ridding in the east valley… San Tan is the place to go.. 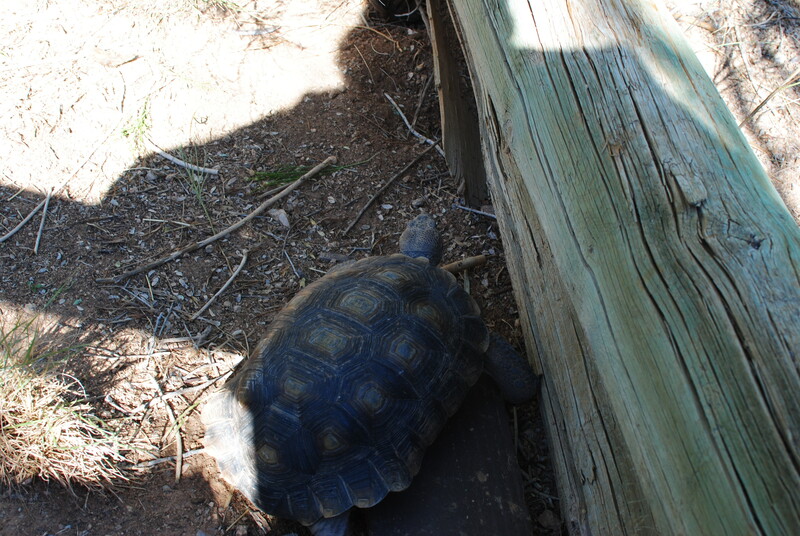 But if you are looking to spend the night, hike, mountain bike, etc. 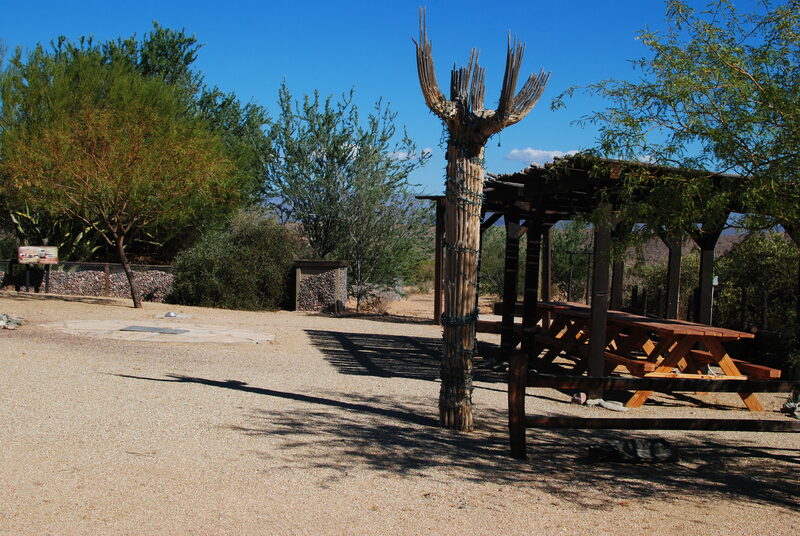 Check out McDowell Mountain Regional Park. We LOVE this place! !